Not even one month after the last HonorBuddy ban wave, Blizzard aimed its guns at the players allegedly involved in win trading. If you don’t know what win trading is, it basically means that both opposite teams agree before the game that one of them will lose on purpose on a ranked match (arena or rated battlegrounds), thus trading their win so the victorious team gets higher and higher in ranks, with little to no effort. This is mostly a strategy used on some PvP rating boosting sites as well. While win trading in WoW might not affect all players, it surely does affect the ones that are struggling to reach higher ranks legitimately. However, this ban wave might not have gone this viral if it wasn’t for the popular Twitch streamer, named Cdew, to get banned as well, allegedly along with other WoW streamers, such as: Dillypoo, Goreckii, Trillebartom, Minpojke, Samiyam, Smexxin, Versacex, Kubzy, Jellybeans, Snutz, Trilltko, Amne, Revo, Ssds, Avengelyne, Dannycarry, according to a battle.net post which was now deleted. Now, we all know that a lot of famous streamers (generally speaking) are not also necessarily model or legitimate players, as often times, especially in Diablo, they have front seats on the ban train, but it’s good to see that even in World of Warcraft, Blizzard is, or at least tries to, be unbiased when it comes to famous and non-famous players who are found breaking the rules. The problem is though, that whenever famous streamers are involved in a ban wave, such as this one, issues tend to arise very quickly, and without taking any sides (honestly), that doesn’t seem to be the case in the ban waves affecting merely simple and normal players, where Blizzard rarely even confirms a ban wave taking place, let alone saying anything about encouraging affected players to contact them should they believe the suspension was issued as a result of a false positive. Meanwhile, this is what happens to the non-famous players mentioned above, however, again, without taking any sides. Update: Cdew has been unbanned and his rating was restored. Update 2: The very same issue with false positive triggered ban wave happened in Diablo 2 as well. Update 3: Apparently the num lock trick in Diablo 3 became bannable as well, however it isn’t sure if it’s the same false positive issue or if it’s actually intended. It’s always good to see a gaming company being unbiased in regards to banning people found cheating, however, if they give the streamers the benefit of the doubt when it comes to false positives, they should really treat every other affected player the very same way. 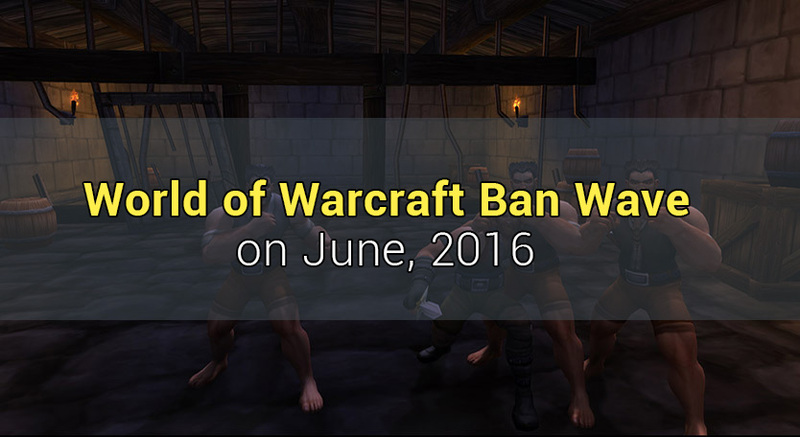 This is pretty much all we have so far in regards to the win trading WoW ban wave on June 2016, and we hope you found this article useful!